We are looking for a few good men and woman who will assist us by volunteering their time and efforts to help with social media promotional advertising, as well as working locally by building a positive rapport with small business's and developing sponsorship programs here in the Frederick area. If you would like to volunteer we will be meeting sometime later in August to discuss our ideas for next years convention. Please check back with us shortly when we have posted the date and time we will meet. We highly suggest that you leave your pertinent information in our contact page, which can be found on the drop down menu under "HOME"> "CONTACT. We will need your name and e-mail address so we can contact you directly. Thanking you in advance. 1. To volunteer, you must be at least 18 years of age, mature, possess a personality that will interact positively with other beings, and transportation means to get to the venue. 2. Applying to be a volunteer does not guarantee acceptance as a convention volunteer. As with any special event, we have a limited number of positions open. 3. Volunteers, if selected, must attend the Volunteer Orientation prior to the event (date and time will be announced closer to the event). 4. Volunteers will need to serve a minimum of 6 hours for the weekend, or 3 hours per day if only volunteering for one day. Timesheets will be explained during the orientation but will be given out the day of the event. 5. Volunteers are provided free admission to the convention, a staff t-shirt, and a badge to be worn at all times while on duty. It is the responsibility of the volunteer to keep up with these items. Volunteers that show up without these items will not be allowed to work and obligated pay the admission fee to stay. Duplicates can be issued but will be charged a replacement fee. 5. Volunteers are not permitted to use their volunteer status to promote/conduct personal business, or to offer friends and/or family free admission to the convention. Anyone suspected of doing so will lose their opportunity to volunteer for this event and any subsequent events sponsored by StarQuest (SQ), and will be escorted off the premises. 6. No smoking or drinking while on duty. 7. Volunteering responsibilities are not difficult, so StarQuest does not discriminate against any potential volunteer due to physical or mental disability. A selected candidate as a potential volunteer with a disability must inform SQ of the nature of the disability and the accommodation required. The SQ volunteer leader will assess such information and maintain the confidentiality of the information to the extent possible to provide accommodations of said request. 8. Volunteers are expected to adhere to the regulations and policies outlined in the Volunteer Handbook issued during the orientation. 9. Volunteers are to always be courteous, polite, patient, cooperative, and safety conscience. 10. 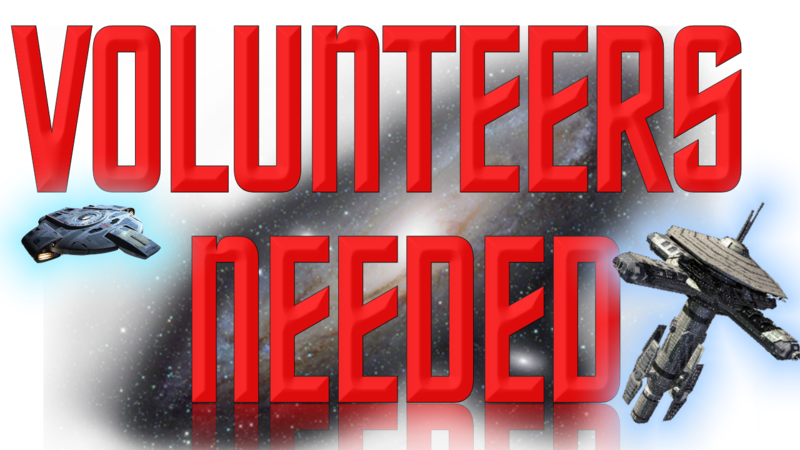 Once the convention is completed a special Volunteer Appreciation Party will be given (date, time, and place to be announcement) for all volunteers. Thanks for your interest in Volunteering for the StarQuest Convention. Please complete the application to the right, download first, scan it in and email it to Yvonne Allen at star.quest@aol.com. If you have more questions, please complete the contact us form and someone will contact you directly.